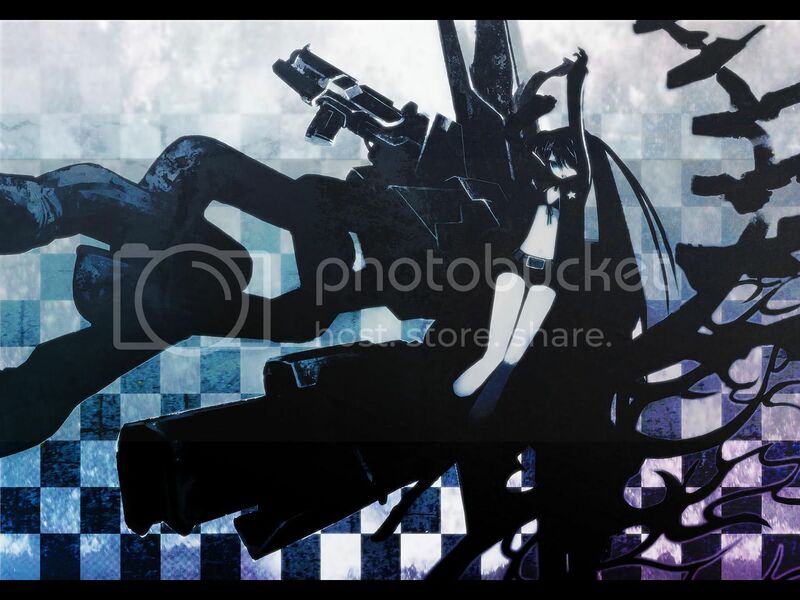 ~Eternal Snow~: Vocaloid Spotlight: Hatsune Miku - Black★Rock Shooter. 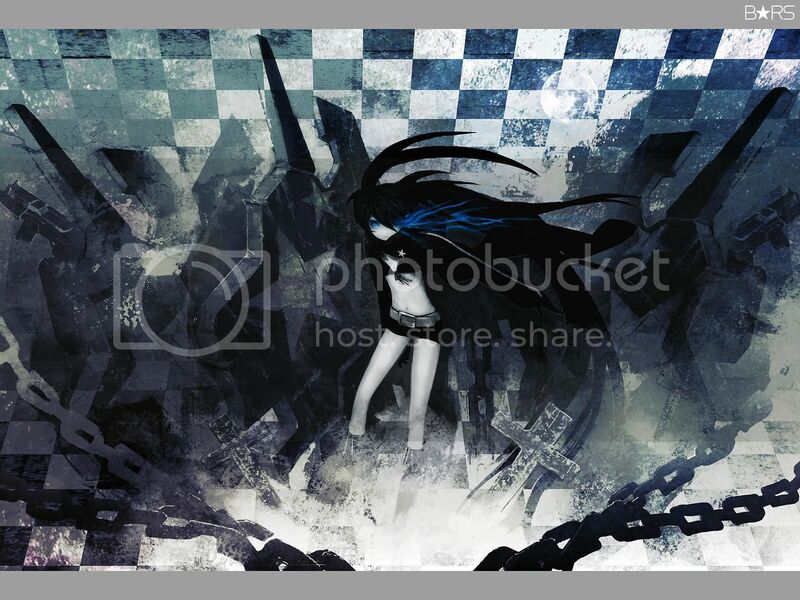 Vocaloid Spotlight: Hatsune Miku - Black★Rock Shooter. With a backlog of over 5 weeks worth of Vocaloid Ranking to go through, I have countless songs that I would love to blog about, but none as epic as this. I'll touch on the rest of the songs soon too though so don't worry ^^... but I'm totally addicted to this song now!! Seriously speaking, this is just about the 3rd song besides Sakura no Ame and Uta ni Katachi wa nai Keredo to move my heart so much just by listening to it. 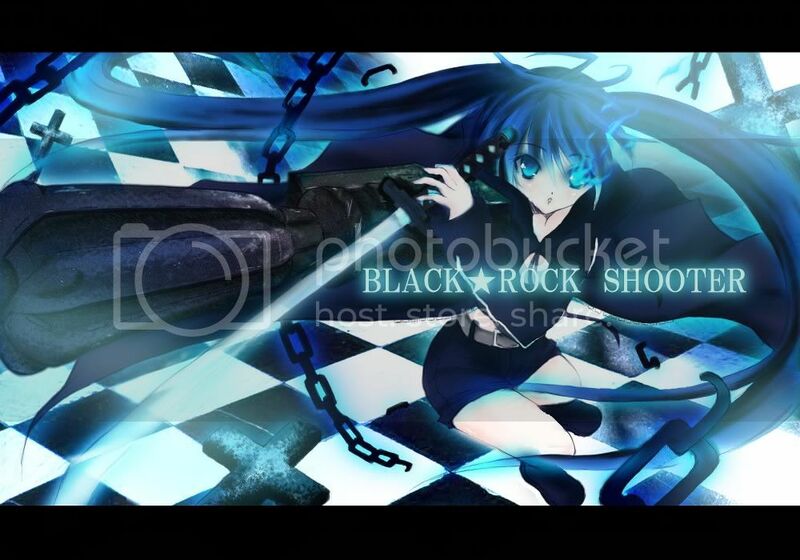 Hatsune Miku -Black★Rock Shooter [BRS] by ryo (creator of the song Melt too). Illustration/PV is done by Huke. Mp3 can be found on their main BRS site. My impression. A song that shows the development of the person: Young and fragile at the start, yet stands strong with only the feelings in her heart; As the song goes on, she's slowly breaking the shell that kept her in, and carrying along the feelings and pain that she had learn from her past, to make her stronger, and spur forward towards a new future. Being true to your heart. A fantastic song, with a very catchy tune, and a beautiful illustrated PV makes this song truly a Vocaloid masterpiece. Note: Lyrics is taken from main site, which can be found here. There has also been various other versions of the song, but the one I would say I liked best has got to be the one sang by Halyosy (yep the creator of Sakura no Ame). And also similar to the Sakura no Ame Project, there has been a "group" singing by a total of 127 people, and it's fantastic. I'll throw links out for everyone to enjoy them too. Halyosy Version of B★RS. I loved how he added 2 lines from Sakura no Ame, near the end of the song, which actually fits in quite well. 127 Individuals Version of B★RS. (No youtube link sadly) Not an easy task, but fantastic piece of music. It feels great to see people from different walks of life come together in an online world and co-operate to achieve this. B★RS rock on!! I'm so inspired right now from this song! Signing out. From the start I knew my purpose for being here. I'll not run away anymore! After reading these words, I'll now head towards tomorrow, towards the goals that I've set, with the same flame that has lighted within me, through this song. Thank you. T_T <----- MANLY BLOOD TEARS. Also, go watch Macross F. SRSLY. I cried manly tears too!! and yea will be getting my hands on Macross F. now, since so many says it's great. Good songs are always meant to be shared ^^.